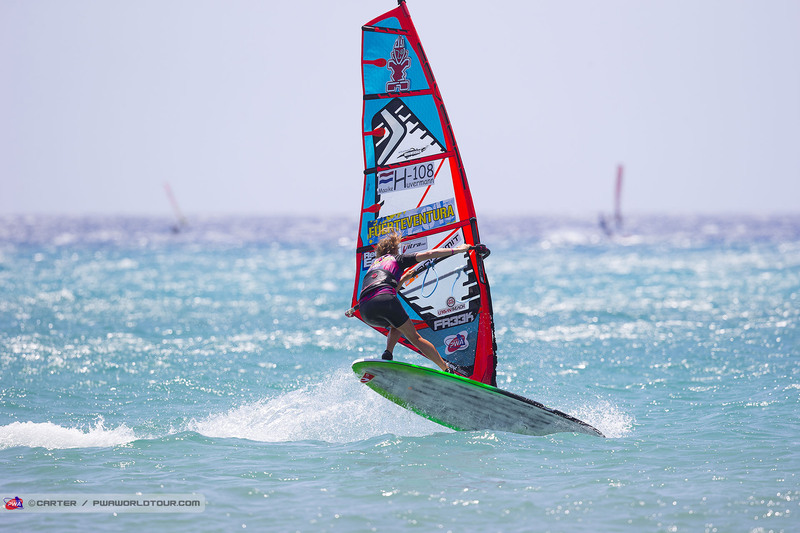 Hey Maaike, congratulations on being crowned PWA Youth Freestyle World Champion again — how many times is that now? 3?. And also for completing the overall podium… how was 2015 for you overall? It looks like you are ripping in your latest video with double moves and some of the latest power moves… what’s the latest move you’ve landed and what are you currently working on? Move you found most difficult? We’ve also seen a couple of clips of you venturing out into the waves… is there the possibility that we will see you competing on the wave tour in the not too distant future? Thanks Maaike, congrats on another youth world title and we’ll look forward to seeing you competing again over the coming year.